Schonbeck, M. 2007. Beating the weeds with low-cost cover crops, intercropping and steel. The Virginia Biological Farmer 30:7-8. Available online at: http://www.vabf.org/vbf2nd2007.php. Integrated Pest Management (IPM) aims to protect agricultural crops from economic damage by insect pests, weeds, plant pathogens, and other harmful organisms, while reducing reliance on hazardous pesticides. The term integrated means the practitioner implements a coordinated pest management strategy utilizing multiple tools and practices that are compatible with one another and with the health and stability of the farm as a living system. The most effective IPM programs are based on an ecological understanding of the pests’ interactions with the crops, other organisms, and the environment (Dufour, 2001). Since the advent of synthetic pesticides in the mid-20th century, conventional pest management has consisted of spraying whenever pests appear, or even on a “calendar schedule” based on a worst case scenario for the target pests. Herbicides are routinely applied pre- and postplant, based on the major weed species, emergence patterns, and expected competition against the crop in a given region or locale. During the 1970s, heavy pesticide use on the nation’s farmlands raised human health and environmental concerns, as well as increasing pest resistance to the chemicals. In response, agricultural scientists explored ways to control pests more effectively with fewer pesticide sprays. Practical on-farm applications of these endeavors became Integrated Pest Management, or IPM. Restore and maintain natural balance within the farm ecosystem, rather than attempt to eliminate species. Higher biodiversity usually confers greater stability. Monitor pest and beneficial populations; take steps to protect and enhance natural pest controls. The mere presence of a pest does not automatically mandate a pesticide application. Appropriate decision making criteria, such as Economic Thresholds (ETs) are applied to determine whether and when control measures are warranted (Fig. 1). All pest control options—physical, cultural, and biological, as well as chemical—are considered before action is taken. Integrate a set of complementary techniques and tools that work additively or synergistically, taking care that one tactic does not interfere with another. Figure 1. In Integrated Pest Management, the Economic Injury Level (EIL) is defined as that pest population level at which the dollar cost of crop yield loss to the pest begins to exceed the dollar cost of the recommended control measures for the pest. The Economic Threshold (ET) is that level of pest population at which the pest, if left untreated, is likely to reach or exceed the EIL. Therefore, the ET is almost always lower than the EIL, and is considered the point at which the farmer should take action against the pest. Therefore, the ET is sometimes called an Action Threshold (AT). Figure credit: Ed Zaborski, University of Illinois. In practice, IPM has evolved into the science of using field scouting protocols and research-based economic thresholds to determine whether and when to use a pesticide. When pest population or visible pest damage reaches a level at which economically significant losses of crop yield or quality are likely in the absence of control measures, a pesticide is applied. While this “conventional IPM” approach can significantly reduce pesticide use, it still relies on chemicals as the primary tool in pest management. Pest- and disease-resistant crop varieties are sometimes recommended; otherwise the proactive, integrated and ecological aspects of IPM are often neglected. In the words of agroecologist Miguel Altieri, “Integrated Pest Management should be oriented to preventing outbreaks by improving stability of the crop systems, rather than coping with pest problems as they arise.” (Altieri, 1995, p. 268). The biointensive IPM practitioner is both a perpetual student and a “doctor” of the entire farm ecosystem, not just the crop or its immediate pests. Because of the great complexity and constantly changing nature of ecosystems, the farmer must continually observe populations and interactions, and the results of preventive and control measures taken. Good records help in the ongoing process of adapting and fine-tuning the biointensive management system. Finally, biointensive IPM is inherently site specific in that it must be adapted to each farm based on its soil types, climate, crop and livestock mix, other organisms (pests, weeds, beneficials, native vegetation, wildlife, etc. ), available equipment and resources, and business/marketing plan. Historically, IPM has focused largely on insect pests, and IPM programs have been developed for the major insect pests of many crops. However, increasing evidence of health and environmental risks related to herbicides, rising input costs, and problems with weed resistance have stimulated increased interest in developing Integrated Weed Management (IWM) programs (see sidebar). The “harvest window,” when later-emerging weeds can no longer significantly affect yield of the current crop. 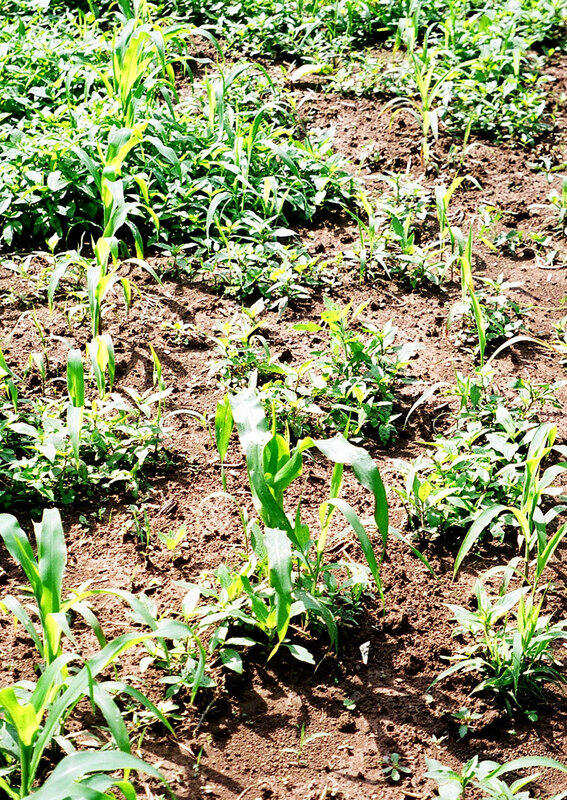 The critical period for weed control, is that portion of the crop's lifecycle when "it is essential to maintain a weed-free environment to prevent yield loss." This has been estimated as extending from the 3-leaf stage until about the 10- to 14-leaf stage for corn, and from the first to the third trifoliolate leaf stages for soybean. For vegetable crops, a "minimum weed-free period"—from planting until the end of the critical period—is sometimes estimated as the first third to first half of the crop's life cycle. The harvest window is simply defined as the time from the end of the critical period of weed control until crop harvest. The authors posit that weeds emerging during the harvest window do not warrant control treatments unless they affect quality or marketability of the crop, noting that “good weed management should be judged on decisions made early in the development of the crop, not on appearances at harvest.” However, since late-emerging and post-harvest weeds can still form seed, organic growers especially must manage them to prevent large additions to the soil's weed seed bank. Although Swanton et al. 's 2008 article was written mainly from a “non-organic” viewpoint that still includes herbicides as a major weed management tool, it may offer valuable insights for newly-converting organic growers worried about fuel costs or the soil quality impacts of replacing these chemicals with tillage and cultivation. One caution for organic growers is that the use of weed density thresholds as recommended by Swanton et al. 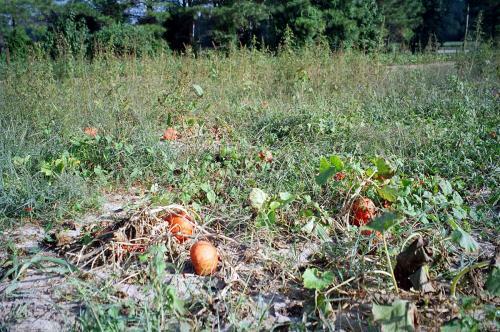 (2008) could result in large deposits into the weed seed bank from uncontrolled “harvest window” weeds. However, the knowledge-based approach can help organic producers optimize cultivation practices and timing to get the best results at the least cost. Many of the IPM principles discussed earlier apply directly to weeds, while some require modification, particularly for organic weed management. Insect IPM programs are based to a large degree on economic thresholds (ETs), and often on the use of specific biological controls against target pests. However, the dynamics of weed pressure differ significantly from those of insect pests or diseases in several ways. Because of the nature of annual cropping systems, weeds reliably occur every year; thus, farmers need to plan appropriate reactive (control) measures as well as proactive cultural practices for each crop. While most insect or disease problems entail one or two harmful organisms for which specific biocontrols are often either naturally present or commercially available, weed problems usually result from the combined effects of several or many weed species (Fig. 2). Economic thresholds are less useful in IWM than in insect IPM because weed density thresholds vary widely among the many possible weed–crop pairs. Thresholds become even more difficult to quantify when several weed species occur together and exert multiple effects on the crop (Fig. 2). Because any weed reproduction can create greater weed problems for subsequent crops in the same field, the IWM practitioner needs to take a multiyear perspective, asking not only, "Will this weed hurt this crop?" but also, "Will this weed's progeny hurt future crops?" (Fig. 3). Although insect pests also leave progeny, most are sufficiently host-specific that rotating to a nonhost crop can effectively limit pest population increases. Figure 2. With many different weed species growing with this sweet corn, it becomes virtually impossible to define an economic threshold in numbers of weeds per square yard at which crop yield begins to decline significantly. In this case, weed control is urgently needed to save the corn crop. However, a specific biocontrol that takes out one of the weed species present might have little impact on total weed pressure, while a generalist natural enemy would likely attack the crop as well as the weeds. Figure credit: Mark Schonbeck, Virginia Association for Biological Farming. Figure 3. The large pigweeds in this field emerged late enough not to have much impact on the pumpkins and winter squash, which have yielded well. However, each weed is about to shed thousands of viable seeds, and could create a much worse weed problem next year unless they are removed from the field promptly. Figure credit: Mark Schonbeck, Virginia Association for Biological Farming. Within the context of the current season’s crop, IWM aims to keep the crop ahead of the weeds, and thereby tip the competitive balance in favor of the crop (Sullivan, 2003). This is done by strengthening the crop through best cultural practices (varieties, planting dates and patterns, nutrients, water, etc.—sometimes called Integrated Crop Management or ICM), as well as by weakening the weeds through proactive and reactive tactics. In insect IPM, the farmer scouts fields periodically during the crop’s life cycle to determine whether and when to implement pest control measures, based on presence/absence and populations levels of pest and beneficial insects, and on life stage and condition of the crop. In IWM, the farmer usually includes both preventive and control measures in preseason planning, designing an integrated strategy to give the crop as large a competitive edge over the weeds as practical. Weed scouting is conducted from before the crop is planted until after it is harvested to evaluate efficacy of measures already taken, assess weed–crop competition, and fine-tune timing and method of cultivation or other control tactics to prevent crop losses and minimize deposits to the weed seed bank. With the exception of classical biological control of certain invasive exotic weeds by introducing insects imported from their areas of origin (e.g., purple loosestrife in wetlands; Klamath weed and certain exotic thistle species in rangelands of the western US), today's IWM rarely employs specific biological agents against specific weed species. However, IWM most certainly relies on biological processes as major components of the weed management strategy. The most obvious and vital of these are the direct competitive effects of well-managed, vigorous cash crops and cover crops against weeds. Other important biological components of IWM may include conservation biological control (protecting and providing habitat for ground beetles and other consumers of weed seeds or seedlings), allelopathic effects of cover crops, and the use of livestock to graze weeds. Cover cropping and other practices that enhance these biological components of weed management can also contribute to overall soil health and productivity. Successful organic weed management requires a more preventive approach to IWM (Sullivan, 2003), since organic production excludes the use of synthetic herbicides, and the few NOP-allowed natural herbicides now commercially available are usually not economically efficacious at a field scale. Without selective herbicides, it is especially difficult at any scale larger than the homestead garden to rescue a crop from weeds that have already begun to suppress the crop’s growth and development. Careful planning, with a strong emphasis on preventive measures as well as timely cultivation and other control tactics, is essential. Some cultural practices for organic IWM fulfill multiple functions. Diverse crop rotations reduce disease, insect pest, and weed pressures; enhance beneficial habitat; and balance nutrient demands on the soil. Cover crops feed and protect the soil, offer beneficial habitat, and improve nutrient availability, as well as suppress weeds. Organic mulches conserve moisture, add organic matter and sometimes nutrients, keep produce cleaner, and harbor ground beetles and other organisms that consume weed seeds and insect pests, as well as hinder weed seedling emergence. Grazing livestock can add manure without the work of hauling it, as well as remove weeds before they shed seed. Even timely, skilled cultivation can become multifunctional; for example a pre-emergence blind cultivation can facilitate crop emergence by breaking up soil crusts while knocking out recently emerged weeds. When a control treatment is needed to deal with an insect pest outbreak, organic IPM mandates using the least toxic and least disruptive methods that are effective. Biological (e.g., purchase and release of beneficial insects) and physical (e.g., floating row cover) tactics are chosen first over any chemical intervention such as soaps or botanical pesticides. When the latter are needed, the least toxic and most narrow-spectrum materials are preferred. Within the context of organic IWM, this principle might be restated: when weed control measures become necessary, choose the least soil-erosive and least soil-disruptive tools and methods that would be effective. By preventing weed problems from developing, organic IWM aims to reduce tillage needs through constant observation, fine tuning of crop rotations, and other proactive measures. As with biointensive IPM for other pests, organic IWM is inherently a site specific process, depending on a farm’s crop mix, weed flora, soils, climate, available equipment and other resources, and market needs. David Stern of Rose Valley Farm grows a diversity of organic vegetables on 40 acres of mostly level cropland located a few miles from lake Ontario in upstate New York. Crops include 21 successional plantings of lettuce through the season, other greens, onions, garlic, leeks, winter squash, potatoes and other root vegetables including specialty crops like daikon radish and Oriental burdock. He also has one-half acre of blueberries, chestnuts, filberts, pears, and grapes as of 2006. He focuses on fall vegetables, which suffer less weed and insect pest pressure. About one-third of the cropland is in cover crops at most points through the season. Main problem weeds include pigweed, galinsoga, johnsongrass, cocklebur, and hedge bindweed. For economy, David chooses locally-produced cover crop seed, such as buckwheat, which is processed at a nearby plant and is available at just $9 a bushel. Buckwheat nicely fills a 35-day window after spring spinach, and can give two successive crops from one seeding by letting the first set seed before tilling it in. David relies heavily on rye–vetch and oats–winter peas, but where his vegetable rotation permits, he now drills oats in rows 7 inches apart at 150–180 lb/ac in mid August. The oats reach a height of four feet before winter-killing in December, and David is trying to develop practical, farm-scale methods for no-till planting of early spring vegetables into the oat residues. Red clover is another major cover crop. David overseeds this clover into winter squash, and lets the clover grow through two seasons to reduce weed levels. Red clover can tolerate light levels as low as 6% of full sun. The clover seedlings “hang out” under the squash canopy, and are released to grow rapidly once the squash foliage is destroyed by harvest and mildew. He also spin-seeds red clover into sweet corn after the final cultivation (when corn is 24–30 inches tall). As soon as corn harvest is complete, David chops corn residues to a short stubble height, which releases the clover so that it can cover the ground within five days. David has developed various vegetable–cover intercrop combinations to maximize biomass and minimize bare soil and weeds. Sweet potatoes are grown in black plastic, with buckwheat sown between rows at twice the normal rate. The buckwheat is mowed before seed-set and the sweet potato vines grow over the dead mulch. He has planted ladino clover as a living mulch between melons, mowing the clover just before vining. Spring peas are intercropped with broadcast proso millet (birdseed), and both millet and pea vines are incorporated after pea harvest. David plants some vegetables, such as potatoes, in every other bed, with a mulch-generating cover crop of sorghum–sudangrass in the alternate beds. The sorghum–sudan strips are mowed, and the clippings are blown into the adjacent rows of potatoes. Oats are spin-seeded into fall brassica crops to reduce winter erosion and enhance trafficability. David has modified a push mower for managing living mulches, by mounting relatively large wheels in front and back to give greater flexibility of mowing heights. Sometimes David intercrops two vegetables to make the best use of space early in the season. Late-season vining crops like winter squash need good weed control early in the season, and David has had trouble with rodent damage to the crop when he used mulch. Instead, he plants beet greens, mustard or other greens between newly-planted butternut squash rows, and harvests the greens before the squash vines spread. In this system, he only needs to cultivate once. Weed control in organic perennial crops like asparagus can be a real challenge. David found that heavy mulching can increase slug and asparagus beetle problems, so he mows shortly after the end of harvest, discs lightly to break the soil surface, then plants soybeans, which suppress weeds without interfering with asparagus fern growth. Garlic thrives in mulch, and requires nonmechanical harvest. David unrolls round hay bales after planting garlic. In the following season, the mulch keeps the soil cool, which prolongs garlic growth and enhances yield. Many garlic farmers are now planting oats about four to six weeks prior to garlic planting, which helps prevent soil erosion that can result from bare ground planting in the fall. When it is time to roll out the steel, David uses Buddingh basket weeders to remove tiny weeds in the “white thread” stage. The baskets work only 1/8 to ¼ inch deep, with front and rear baskets rotating at different speeds to enhance weeding action. He uses several other implements for larger weeds. In young crops, he uses a weeder with vibrating, spring-loaded tines whose tension and depth can be adjusted to simulate rotary hoe action. The Lilliston rolling basket cultivator can be adjusted to shape beds as it weeds, and the Regi weeder is an aggressive PTO-driven device with two rotary disks with hayrake teeth, guided manually from behind, that can effect within-row weeding. David also mentioned the Multivator, a multiple-head rototiller that gives great flexibility to weed between crop rows, but noted that it is hard on soil structure, so he avoids frequent use. In some cases, he manages weeds and prevents weed seed set by mowing. The mowed weeds act as a green manure and can contribute to soil fertility. David has designed two implements that combine the efficiency of tractors with the fine precision of the human eye and hand, which he describes as “the most accurate weeding tool we have.” The platform weeder/harvester is a homemade platform on a three-point hitch that adjusts so a person can lie comfortably on a foam mat and handweed crops (small to large) as the tractor moves slowly through the field. The wiggle hoe is a three-point tractor-mounted tool modified from the horse-drawn cultivators of our grandfathers. A person sits comfortably, directly over a row of vegetables, and with handheld, mounted tools, can very accurately and closely cultivate at a shallow depth. The wiggle hoe is similar to the Regi weeder, but it is not as aggressive. David emphasized that his experience and his presentation should not be taken as a recipe for others to follow to the letter. “Following someone else’s prescription is dangerous,” he cautioned. “You need to be creative, take a site specific approach, and develop a rotation and weed management strategy for your own farm.” This may be especially true when adapting a system like David’s to an entirely different climatic zone, such as the Tidewater region of Virginia. However, the underlying principles of weed, crop and soil management still apply, and the longer growing season and milder winters of the South may open an even wider range of cover crop species and cropping strategies for year-round organic weed management. Know your weeds, their life cycles, and why they are on your farm. For tractor cultivation, take wrenches into the field so you can adjust the tool and anti-sway bars to maximize efficiency of time and fuel use. Cultivate early in the morning on sunny days. NEVER let weeds go to seed. One mature pigweed can bless the farm with 400,000 seeds! This case study is reprinted with permission from: Schonbeck, M. 2007. Beating the weeds with low-cost cover crops, intercropping and steel. The Virginia Biological Farmer 30: 7–8. It is based on a presentation by David Stern of Rose Valley Farm in Rose, NY given in Abingdon, VA on 2 December 2006. is based on a presentation by David Stern of Rose Valley Farm in Rose, NY, given at the Organic Growers’ School of the Appalachian Regional Horticulture Conference in Abingdon, VA on December 1–2, 2006. This article is part of a series on Twelve Steps Toward Ecological Weed Management in Organic Vegetables. See also An Ecological Understanding of Weeds. Altieri, M. A. 1995. Agroecology: The science of sustainable agriculture. 2nd ed. Westview Press, Boulder, CO.
Dufour, R. 2001. Biointensive integrated pest management [Online]. ATTRA Publication #IP049. National Sustainable Agriculture Information Service. Available at: http://www.attra.org/attra-pub/ipm.html (verified 11 March 2010). Schonbeck, M. 2007. Beating the weeds with low-cost cover crops, intercropping and steel. The Virginia Biological Farmer 30: 7–8. Based on a presentation by David Stern of Rose Valley Farm in Rose, NY, given in Abingdon, VA on 2 Dec 2006. Sullivan, P. 2003. Principles of sustainable weed management for croplands [Online]. ATTRA Publication #IP139. National Sustainable Agriculture Information Service. Available at: http://www.attra.org/attra-pub/weed.html (verified 11 March 2010). Swanton, C. J., K. J. Mahoney, K. Chandler, and R. H. Gulden. 2008. Integrated weed management: Knowledge-based weed management systems. Weed Science 56: 168–172. (Available online at: http://dx.doi.org/10.1614/WS-07-126.1) (verified 23 March 2010).